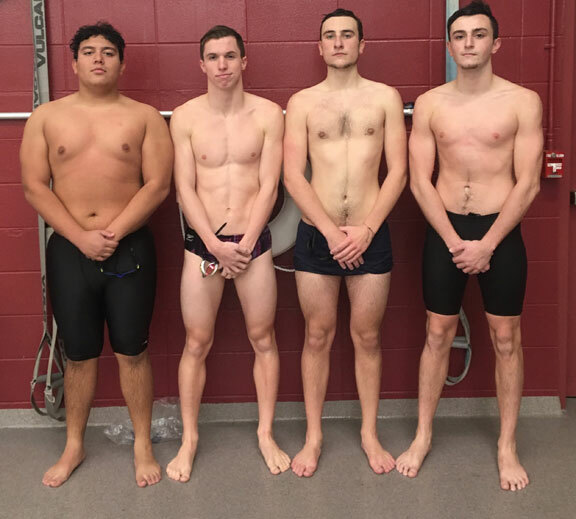 NAUGATUCK — The Naugatuck boys swim team has been knocking on the door of an NVL championship the past two seasons, finishing as runner-ups two years in a row. The Greyhounds graduated 11 seniors but return a host of swimmers who are more than eager to continue that journey. Naugatuck will be led by senior captains Sammy Ayash, Zach Alves, Elliott Dupont and Brian Goggin. Naugy graduated three top swimmers in Evan Bombery (2nd NVL 200 and 500), Omar Solomon (3rd NVL backstroke) and P.J. Morrissey. The ‘Hounds also lost their top two divers in Eric Cruz (3rd NVL) and Grady Beasley (5th NVL). The coach also mentioned the continued development of senior Cameron Litwinka, juniors Austin Herb and Dale Wakeley, and sophomores Alex Manasoiu and Spencer Maher. The depth and leadership of the Greyhounds continues with seniors Danilo Assis, Jeremy Raupach, Matt Raupach, Erin Doris, Macie Best, James DeBisschop and Ben Wierzbicki. Junior Jonathon Lauer, sophomore Nelson Lavoura and freshman Mike Hill are also swimmers who can make an impact. The Greyhounds begin the season Dec. 19 at 4 p.m. at home against Watertown. They will take on state powerhouse Glastonbury on Dec. 21.